… I’m proud of my coach Paulo Pires, for he has done a fantastic job supporting me, preparing me, getting me to this finish line with a smile on my face. … I’m ultimately proud of myself, for this has been the first time I’ve done 85 km in such challenging grounds. Can you imagine all these feelings combined, in a single flow of energy, a bright light coming from the deepness of the soul, blinding the reality around me, turning the night into day? I picture it in my mind and there are colours, textures, smell, emotions running wild, living animals, human presence, all in one. A few steps behind me there’s just a finish line yet in my mind there is as much diversity as life can offer. Is this perhaps what happiness is all about? Is pure bliss available by tapping into the void? How did this all start and how did I get here? There are 3 things I’d like to take you through: falling in love with MIUT, what the island has to offer and what the race experience has been. I have a few chances per year of participating in epic races. I have a busy life: a demanding job, a family I love spending time with, a tough training plan. Living in Düsseldorf doesn’t give me the possibility of being close to the mountains, as everything is mostly flat around here. The opportunity to participate in amazing adventures in beautiful locations comes at the cost that travel is usually required… which demands time… which demands proper planning. A practical way I’ve found to identify attractive challenges has been through the community. Running buddies know stuff. Friends hear about some crazy race which I may be interested on. beAPT fellows share their dreams and ultimately their experiences. Strava followers and athletes I follow hint original locations, new tracks, fresh landscapes. Running groups such as the Squirrel’s Hour, the Monsanto Running Team, the Trail and Ultra Running (TAUR) community, the Loucos Trail Running group or even local training groups such as Running Team Grafenberg, they’re all great to draw inspiration from. I got to know of the Madeira Island Ultra Trail a few years back. It’s one of if not the most most prestigious of Portuguese races. 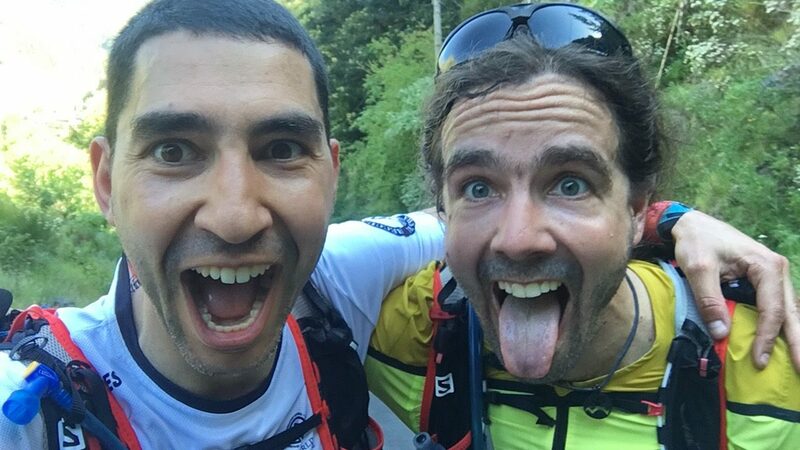 Tuxa told me about it when we trained together in Arrábida, Ricardo told me about it when we met in the Eiger Ultra Trail last year, everybody talked about it at Estrela Grande Trail as being a world renowned race. It is for a good reason that the Ultra Trail World Tour has had it as the first Future race in its list of rare adventures. It was however when I saw the promotional video of the 2016 MIUT edition that I fell in love. After challenging my running tribe, good friend ultra trail runner Stefan Christoph, Cook it Fit blogger Cris and myself have set ourselves for an amazing adventure! The year is 2005. It’s the first time I visit Madeira. I’ve just fell in love with a charming girl and the idea of heading to a beautiful island in the middle of the Atlantic, where my mother language is spoken and our lovely mediterranean diet is present, feels like the perfect thing to do. Spring flourishes all year around, its mild weather always inviting. Its sea has colour palette of blue and green on which our eyes have difficulty capturing all gradients. Its people, friendly and warm, so used to make tourists happy. Nature bursting everywhere, unique flowers you can only see in here, green the color of the island’s dress, mountain passes of extreme beauty and so… so much more. We travel the island from coast to coast and discover great wonders. The (autonomous region) capital Funchal is a place where all history of the island can be uncovered. From its discovery in the 15th century, to how the island got conceived in the middle of the ocean, how the Portuguese have developed it over the years, how its remarkable wine got famous – did you know it was a happy accident? We made sure we visited some levadas, irrigation channels carrying water from accessible waterways into the most inhospitable places (read the last blog post for some more interesting details). 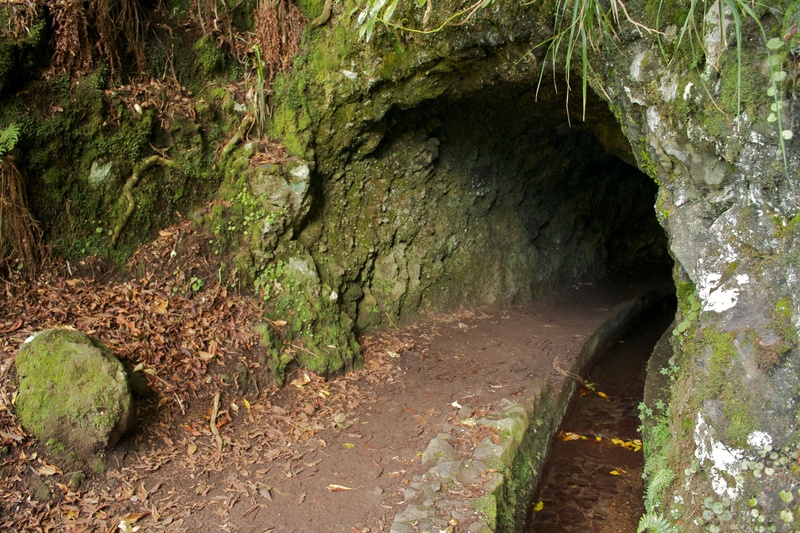 The Levada do Risco and the Levada das 25 Fontes are an absolute must visit! If you visit Madeira, make sure you tour the island! Câmara de Lobos delights us with its charming fishing village look, Curral das Freiras surprises us with its extraordinary location, Cabo Girão with its fascinating sea cliff, Porto Moniz with its naturally built sea swimming pools, São Vicente with a demonstration of the volcanic origins of the land, Santana with its exquisite traditional architecture, Machico with its wonderful bay, Ponta de São Lourenço with its phenomenal landscape, last but not least Pico do Arieiro and Pico Ruivo summits with its impressive scenery. We understood immediately we’ll be visiting the island again! Let’s rock & roll Madeira! So here I am now with two very good friends, set on an adventure, more than a decade later. We book a car and set our tourist mode on. We travel through the coastline, transverse the mountains, get fantastic recommendations for local food (thanks Frederico! ), attack pastéis de nata (ok… ok… this happened only after race day). We relish nature. We take the time. It feels so good to comeback. It feels so good to see Stefan and Cris falling in love with the place. What else can be said about it? Madeira is the pearl of the Atlantic. Make sure you don’t miss it! The day started well. I’m calm, relaxed, had a relatively good night’s sleep, anxiety levels are at a record low. The feeling of doing an 85 km long race, bigger than any other before, doesn’t really give a lot of room for stressing out. It will be a veeeeery loooong race. I take a look at the window and the sun is still asleep. I remember how yesterday I could, from my bedroom at Hotel Dom Pedro, see the tip of Ponta de São Lourenço, the Desertas Islands behind the mist in the horizon, Machico‘s beach at an arm’s reach, finish line all set to receive the athletes across the day (and night!). I’ve been dreaming about this moment for so long… stepping up the distance, running in such a wonderful island, meeting my beAPT companions, some of which I’ve never met, other than through the sometimes cold-felt touchless screen connection. The hotel corridors are quiet. I avoid the elevator and take the stairs down to the restaurant, where an early breakfast awaits the athletes. The hotel has joined the party and is making it available to its guests out of regular business hours. To all due effect, it’s 5 o’clock in the morning… tourists will be coming later today I guess. As I get closer I start hearing that the hotel is alive after all. The dining room is filled with athletes, stuffing themselves with as much food and energy as possible, in preparation for what lies ahead. My mind wanders through everything I’ve been told, everything I read, images of the course going through my mind, the music of last year’s official race report getting me into a very happy mood. We’re making dream reality. 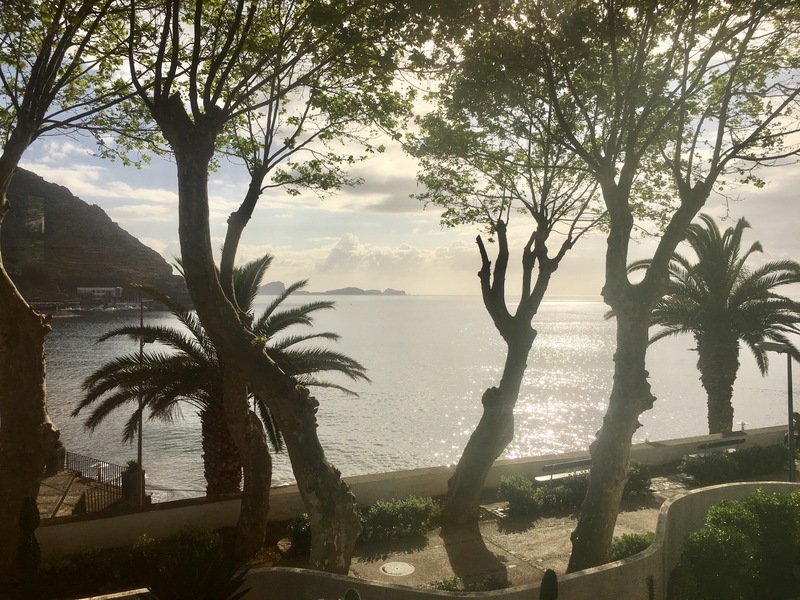 Both myself and Stefan enjoy breakfast, go up to the room, get our gear and set out to where the buses are picking us up, ready to take us to the start line at São Vicente. We take a front seat. Darkness still reigns outside while we tumble initially through the coastline, later through hills towards the interior north of the island. I start thinking of what lays ahead of us: the segments, the stairs, the mountain passes, the tunnels, the people, the smiles. 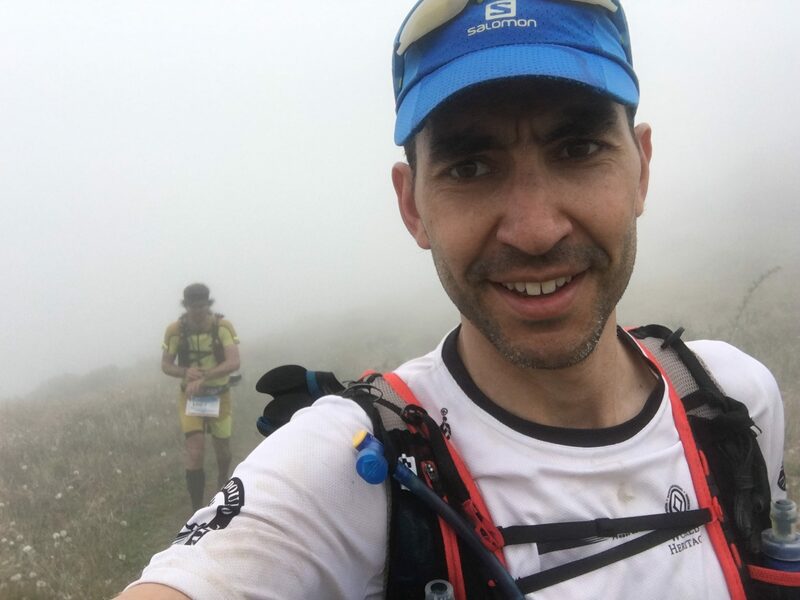 I recall how Filipe Torres, a Portuguese ultra runner, wrote a brilliant blog post a few days before the race providing hints for newcomers. He sliced the course into pieces and provided advice for each one. Would I be able to use some of the information wisely? As we get to the start line, we truly realise that dreams are made of… there are so many of us!!! I thought we’d avoid using the headlamp at the start but looks like the mandatory gear will be put to use. One can feel everyone’s silent excitement to start. There’s loud music playing yet deep inside the soul of everyone around I perceive introspection. Reflection. Pondering. Consideration. Contemplation. Observation. Meditation. Boooooommm!!! Excitement! We start! Here we go!!!!! This is a truly happy moment! Months of dedication, anticipation, all leading to here and now. As I start running all engines check green, proving that the body is ready for what is ahead. Signs of the recent injury are inexistent (little did I know…), I feel confidence that the demanding training work will pay off in the long run. I look around and see a lot of familiar faces. Elite runners. Community members. So many happy faces… I give Tuxa a big smile as we pass by – those braids are so recognisable from the distance. You’ll be getting us soon… I bet on it 😉 ! We go up slowly, the sun giving us clear signs he’ll be doing the same. Down left I can see São Vicente in the distance, the sea kissing the valley, horizon turning bright orange, announcing a warm day ahead. It is amazing the piece of work that has been done in the levadas. Besides its practical use, the sound of the water flowing through nature is great to loosen up the mind. Green colours, the smell of the soil, nature sounds, a fresh breeze… what a perfect start! We quickly pass the first aid station at Rosário and set ourselves into a steep single track towards the second aid station. The trail is embedded with wooden logs that support natural stairs built to support the uphill. I look around me. It’s a tunnel made of green. We’re just cutting through the forest in a trail hidden below the vegetation. As we reach Encumeada I grab a few snacks, refill the bottles and off we go. Wait a second… I know that face… I spot Filipe Torres, greet him enthusiastically and thank him for those wonderful hints (I know the pipeline is coming next 😉 ). He’s doing the whole race. Yes, 115 km! Any runner doing it is a hero to us. I can’t recall any longer how many of them we’ve passed by already, to whom we demonstrated our huge respect. I wish him good luck and hope we meet him at the finish line (he made it, little did I know however that his clock was ticking already). After a steep descent, the hill on the other side of the valley is waiting for us. The pipeline did come next. Poles out, head held high, this is what I trained for. Step by step I conquer the elevation in small iterations, zig-zagging through countless steps until getting to the top. We keep smiling and our minds are joyful. All good! We get to the top and go through a series of flats. It feels good to loosen up the legs. Now… any difficulties felt in the previous segment quickly melt away. What lies in front of us is absolutely mesmerising. What an amazing landscape! We can see the mountains around us, we can see the valley below, the clouds, the ocean… all at once. Down below, 700 meters below, we can see Curral das Freiras waiting for us. A steep descent, technical, dangerous to the legs, which need to be fit to attack the island’s summits immediately afterwards. We takeover more and more runners now, in particular the ones doing the longest race. We’re all together in this adventure and the constant recognition of everyone’s efforts is a morale booster on the spot! My coach Paulo Pires is down below and it will be great to see him again! More morale! Down! Down is the word of order! As we hit the bottom, I’m mentally prepared for the uphill. Oh yes… those hints are useful. The aid station is 120 m above our heads and we must get the legs working again to take us there. Up! Up! There we go! Curral das Freiras is an important checkpoint in the race: it is huge, has very good food supplies and supporting crew present for runners. 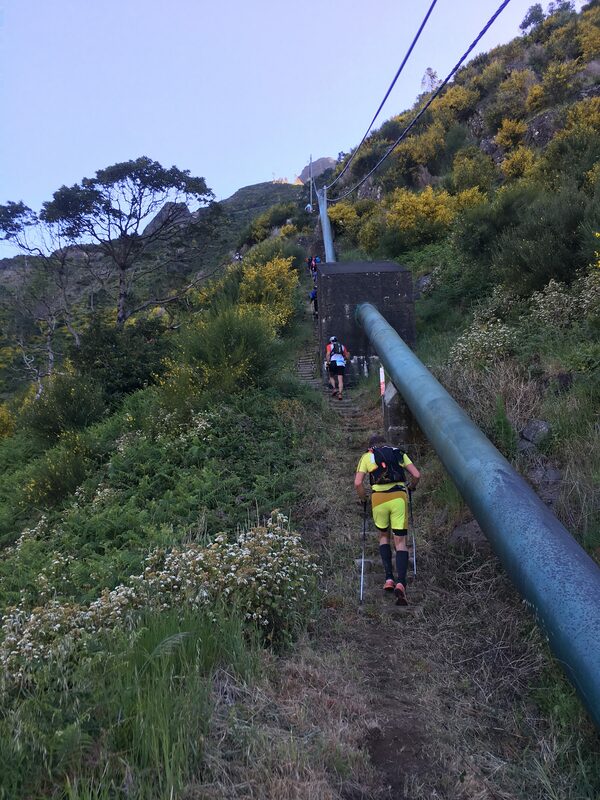 As the summits come next (we’re talking 1100 m ascent) and with the temperature raising steadily, the organisation is forcing everyone to leave the station with sufficient water to endure the effort. This aid station is known for killinge MIUT athletes. As I meet my beAPT community I immediately understand how you have mixed feelings in this place. Meeting the coach is great, seeing Frederico Silva again after the Either Ultra Trail likewise. Paulo Alves is making it through, Raquel Ferreira, Sara Silva and David Quelhas however have fallen. Rui Santos sits on a chair and faces his demons. Lucinda Sousa on the other hand is gone already, set for reaching the highest position on the podium. There is so much to learn from all of them. From our training group, I’m the rookie, the only one doing the 85 km, from more than 20 athletes participating in the whole 115 km. I refill the bottles again, load the bladder on the backpack with additional water, have a soup, a few snacks and off I go. There’s enough time spent here already (I’ll later find out that I spent a shameful amount of time in aid stations – something to improve). 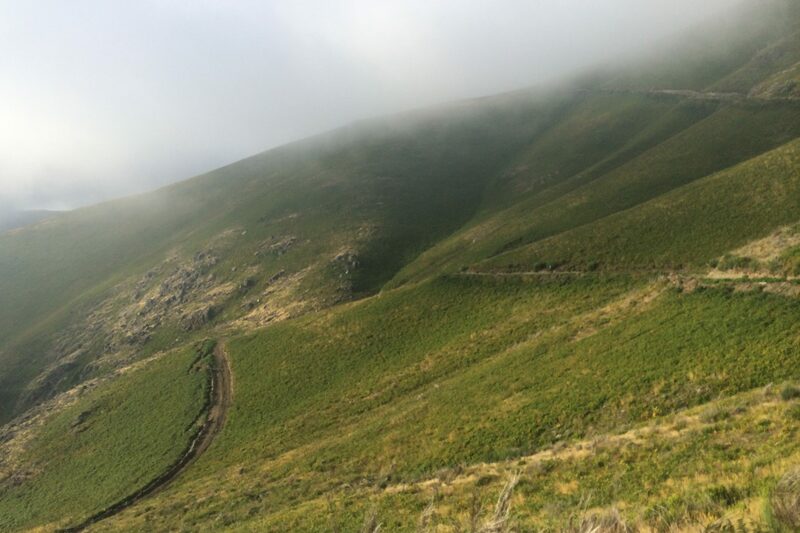 The route to Pico Ruivo is a tough one to master… we cross farming pastures and suddenly here it is, the big ascent we had been waiting for. Experienced runners told us that if we’d make it to the top, then the race would be done. Which is kind of hilarious, since we’ll still be missing a marathon after that. A thought that used to scare me in the past. Not now. Now there’s the thrill that this is also part of the race… something I trained hard for. As we get more and more up, my body temperature starts to elevate. We’re in the middle of an eucalyptus thicket, shade protecting us from the sun. My body temperature is still rising though. Stefan looks at me and highlights that I’m not hiking in a straight line any longer… he’s right actually… I guess this is where I realise that I’m hitting the wall. I avoid going for the emergency gel and take off my bag of dried nuts and dried fruits. Studentenfutter as they call it in Germany, “animal food” for students. I consider taking half of the bag but realise that I’ve just taken it all. On both sides of the trail we start seeing the first casualties… some are sitting down to enjoy the shade, others need time to recover from this tough undertaking, others are really just enjoying the view. We are going around the valley, Curral das Freiras clearly visible below in the distance, further and further away. I hear a cheerful greeting behind us. Tuxa is coming strong. As usual, on the uphill. I knew she’d get us sooner or later. I’m still recovering and just don’t have the energy to keep up. Oh well… I start enjoying the admirable landscapes as a way of getting myself distracted from the internal struggle within. 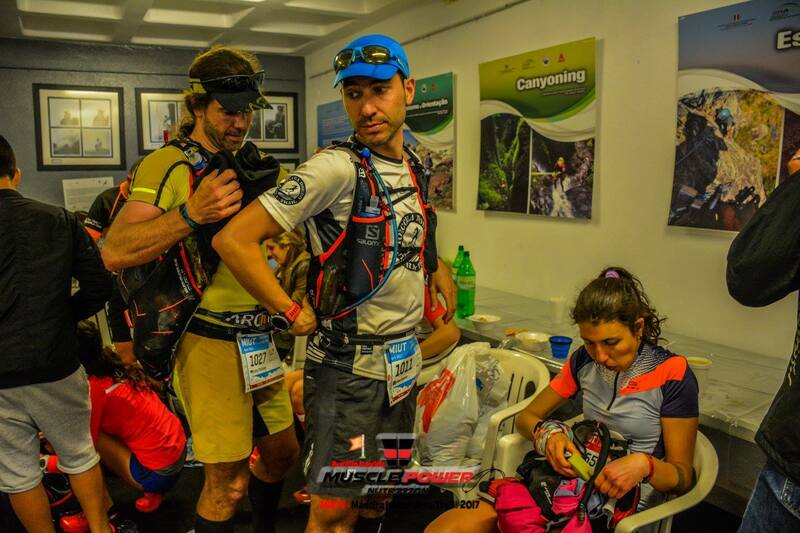 The Pico Ruivo refuge is now in plain sight, tourists wandering around, runners greedily using the aid station to replenish their energy levels. Myself included. The second hit in the wall was just about to come. I take the time needed to recover. A long time. Necessary however. Next stop: Pico do Arieiro. Now… in the unlikely event that you’d find no reason to come to this race, this segment justifies it all, making it all worth it. We go through beautiful mountain passes, tunnels carved in the rock, stunning balconies in the heart of the island, stairs up and down, straight, curved, steep… I need to get here with the family… I need to come to this place again… for it is of extreme wonder, a majestic demonstration of nature’s marvel. Whomever comes to this island should do this trail. Mandatory! Absolutely marvellous!! News from Cris arrive. She’s loving the marathon distance, despite a hard fall that fractured one finger on the right hand. She got help from both athletes and crew, a bandage is already in place and is running towards the finish line regardless. She’ll still have to check how bad is the damage but is happy to be back on track. So are we, as we understand she’s fine. We prepare ourselves to leave Pico do Arieiro. The trail to Ribeiro Frio takes us through a technical single track on a slight descent. On the left and on the right, the slopes start getting higher as we get deeper into the valley. Soon enough the clouds are no longer below us but again engulfing us. We get to a nice runnable plateau which allows me to put some speed and realise that the body is happy with the energy from the last aid station. I feel reborn! It’s been a while since we don’t cross any runners. With nearly half-way done, I guess it is normal that the athletes get pretty scattered at this point in time. Just before leaving the plains my beAPT fellow João Neto crosses our path. This race is fantastic at so many levels, the people factor included. João is an adventurer, an explorer, trail lover and beyond. He’s part of the first Portuguese expedition (together with world renowned trail runner Carlos Sá) transversing Greenland in full autonomy. Having the chance to talk with him about it on the trail? Priceless! With my energy levels up high, Stefan quickly indicates that this may be the time for us to depart from each other. I take the lead and start going faster in the descents, flowing through the low vegetation, looking forward to reach Ribeiro Frio, as I have delightful memories from my visit back in 2005. Stefan catches up with me and recommends the use of the poles on the downhills, with a surprising face like “how didn’t you think of that before?!?”. How obvious is this? I usually think of them to go uphill but from today onwards I won’t forget that they’re more useful to absorb impact on the downhills, acting as an extra pair of legs. They won’t solve the stomach issues but I try to think in iterations. That’s what kept me running so far. Not to think of the remaining distance but to think instead of the small piece missing to the next checkpoint. João Neto soon catches us as well and we arrive together at Ribeiro Frio. I take his recommendation of tepid tea to mitigate the stomach pain and get a small theine kick. Juice from freshly pressed oranges (in my mouth, this is) will have to do the trick for energy, as the thought of getting any additional solids is not at all appealing. The way up to Poiso is our last ascent in the race and wow… this is steep! Really steep!! We’re under a thick tree cover in an amazingly sharp incline! The sunset is expecting us in the top, greeting our toughness with an incredible view over the plateau. A long cobble road brings us to the summit, the last 500 m of ascent behind us, now just the prospect of going down all the way to Machico. The watchword is clear and I follow Stefan into the unknown. This is uncharted territory for me. Never before have I done such a distance. Never before did I have stomach pain in a race. Nor in training. In my mind one thing is clear though: this race is going to end only when I cross the finish line. 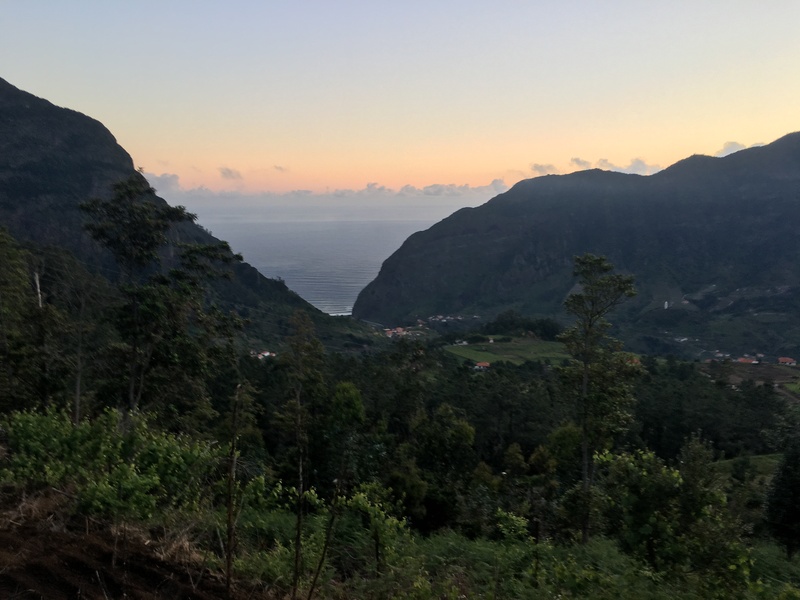 Portela gives us the chance to say goodbye to the sun, its setting beautifully done behind the cliff at Porto da Cruz. The expectation was to arrive at dusk. We’re late. Night is coming at a fast pace and we prepare ourselves to it. Headlamp on, vision focused on the reflective materials of the race markings, mind set on the finish line. As I have to walk a couple of times to calm a few spasm, we depart from each other. Alone in the dark, doing my own race now, I focus on the sound of the waves hitting on the coast. They calm my mind and provide gratuitous relaxation. As time passes by I gradually stronger mentally, loving this period of running alone, with my own demons, with my own fight, finding my own joy. I recall all the training sessions, the German winter and its harsh weather conditions, the sleep on Sunday nights cut short due to the early wake-up calls. I think of my beautiful wife and my joyful children, the love I have for them and how they’re eagerly following my tracks back at home. I get flashbacks of all the unconditional support from family and friends, how they as well have lived the dream with me. There’s a surge of emotion coming from the deepness of my soul, a burst of dry tears coming to my eyes, a remarkable sense of bliss, for I have been tapping the void in the past hour. Happiness in pure form. A moment I’ll cherish for years and years to come. We are reunited again and take the last 4 km to the finish line with an increasing excitement for the feat about to be accomplished. The city lights of Machico are now in plain sight as we circle the last hill east, towards the sea. We can hear the crowd below, we can feel the cheering from the distance, we can taste the achievement already. Cris is waiting for us in the finish line, ready to share our enthusiasm. I finish with a smile! We finish with a smile! We enjoyed the race, we lived the dream! There are no injuries contracted, yet there are so many lessons to be taken away from the experience! Regardless of the time it took us, the challenge being completed and the happiness on the finish line is all that matters. Madeira is an explosion of life in the middle of the Atlantic! Wow!! Must visit!!! The Madeira Island Ultra Trail is a must race! Flawless organisation, superb trails and amazing people!! One thing is clear in this moment: 2018, you can count on us!